News Corp. Confirms Split; Rupert Murdoch Will Chair Both Companies : The Two-Way The company plans to split its publishing and media/entertainment operations. It's responding to investors who don't want to be part of the slow-growing world of newspapers. Rupert Murdoch, chairman and CEO of News Corp., with one of his company's British tabloids. Saying that the move will create two companies, one a "world-class" publisher and the other an "unmatched global media and entertainment" giant, Rupert Murdoch's News Corp. just confirmed it is planning to separate into two distinct units. Murdoch, a legend in the news and entertainment businesses whose TV ventures include Fox News Channel, will "serve as chairman of both companies and CEO of the media and entertainment company," the company added. As we reported Tuesday, News Corp. is responding to pressure from some investors who aren't interested in its relatively slow-growing publishing ventures, which include The Wall Street Journal and New York Post, newspapers in Australia and a collection of British tabloids that have been caught up in the so-called hacking scandal over in the U.K.
All sorts of legal steps — including getting the OK from shareholders and regulators — still need to happen before the split occurs. 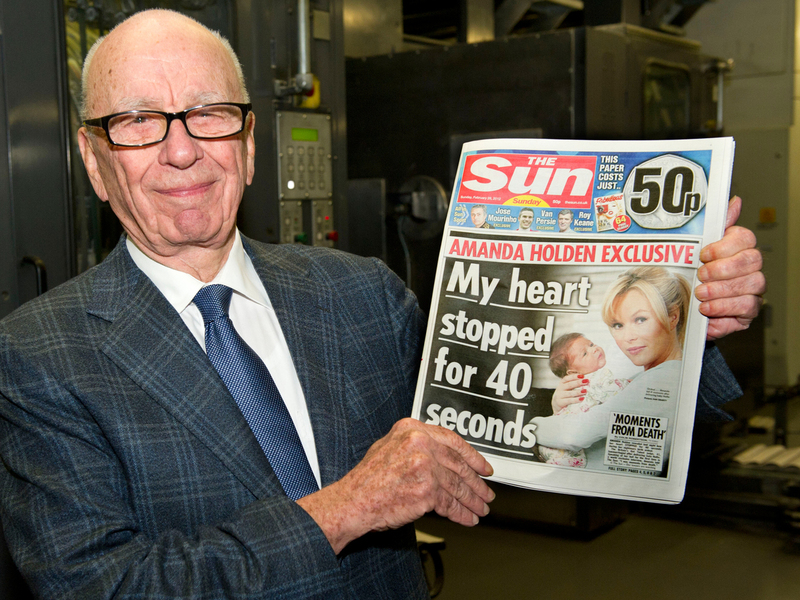 News Corp. says "the separation is expected to be completed in approximately 12 months."